Your employees should be generally aware of what’s going on with your business. This doesn’t mean they need to know every detail about every transaction happening, but when it comes to big stuff, they shouldn’t be left in the dark. When your hiring team feels like they’re kept in the loop, they’re more likely to stick together and operate as a unit. Set both short and long-term goals. Many times teams fall apart when the individual members of that group aren’t exactly sure what’s expected of them. In order to prevent this from happening, be very specific about your wishes. Set both short and long-term goals for your team, and make sure everyone is aware of how you’ll go about reaching these goals. You should track progress regularly and check in with your team to address any issues that may have come up along the way. Team members are more invested in a project when they feel as if their ideas are heard and valued. 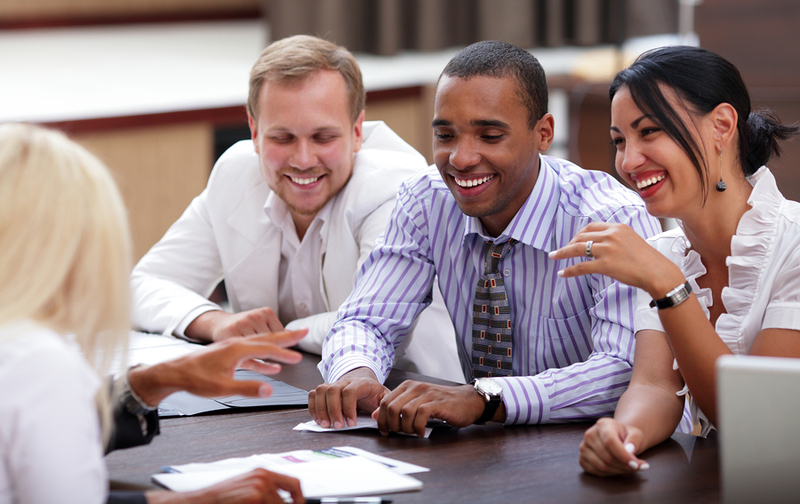 If your employees provide feedback that you’re able to implement, do so whenever possible. This helps to keep them more engaged with their work. Make sure everyone is held accountable. When each individual is held accountable, everyone works harder to make sure tasks are taken care of properly. Just because you’re working as part of a team, doesn’t mean that individual accountability disappears. The manager’s attitude has a major impact on how the rest of the team feels. Even if you’re feeling a little hesitant, go in with a positive attitude and you’ll notice that the rest of your staff follows suit. Encourage them to get to know one another. Make team-building exercises a regular part of the workday, and encourage activities like office happy hours. When your employees know and care about one another, the team is stronger as a whole. It’s also important to keep a focus on morale within your company. When people feel happy and valued and know why the projects they’re working on matter, they’re more likely to bring enthusiasm to the office each day. Making sure that your staff members feel appreciated is an important part of keeping cooperation and productivity levels high among your team. How do you get your hiring team to work together? Comment below!